Old Kalka Ambala Road, Near Proposed Golf Course, Gazipur, MC Zirakpur, Distt Mohali - 160104, Punjab, India. You are one in million, so why should not you have home like no other. Feel special, At Green Valley Towers, we have put in a whole lot of thought to give you something more than a mere apartment. 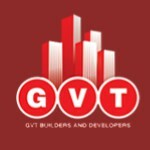 Futuristically designed incredibly spacious and totally comfortable, Green Valley Towers is true worth of every rupee.